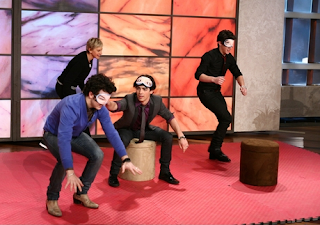 LINES, VINES, AND JONAS TIMES: JONAS BROTHERS BANNED FROM GERMANY FOR BEING TOO CUTE ! JONAS BROTHERS BANNED FROM GERMANY FOR BEING TOO CUTE ! In a related development, the country is expexted to start considering the appropriateness of Zac Efron’s work for the general populace. I couldn't agree more that they are too cute ! But banned?! THAT WOULD BE HORRIBLE. WHY DOESN'T KEVIN SING LEAD VOCALS?! Miley second guessing her love ? Miley & Nick still texting ! New SWAC & HM ! JB WORLD TOUR PRE-SALE TICKETS THURSDAY ! Camilla Belle Cheating on Joe Jonas ? More Miley Cyrus prize giveaways ! OLD JB HOME VIDEO !! NICK JONAS DATING JORDAN PRUITT !! 3 ADDITIONAL JB WORLD TOUR SHOWS ! HAPPY BIRTHDAY JOHN TAYLOR ! New Jonas mansion- full of dark spirits ? new PPP sneak peaks !! DEMI LOVATO SUMMER TOUR DATES &more ! SECOND ROUND OF JB WORLD TOUR PRESALE DATES ! JB WORLD TOUR PUBLIC SALES ! FFE WORLD TOUR PRESALE !! JB LIVE ALBUM ON ITUNES !